Allyson McGuire thought four pills twice a day sounded like a lot. But her local pharmacist assured her that it was the correct dosage to treat her daughter Cheryl's swollen muscle, so she let her daughter take them. Soon after that, Allyson said her daughters hair started falling out in clumps. Next, she says she began having trouble breathing and was rushed to the hospital. "The hair was just everywhere. I was freaking out," said McGuire. Drug-dispensing errors happen more than most people think but exact numbers are hard to come by. There are no state or federal laws requiring pharmacists to report when they discover they made an error, the I-Team has learned. 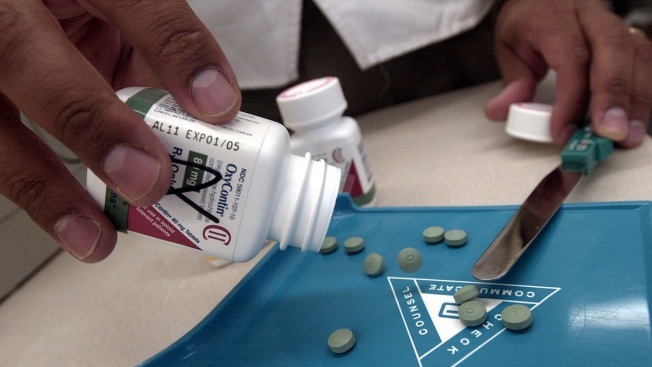 An estimated 30 to 50 million prescriptions are filled incorrectly each year, said Allen Vaida of the Institute for Safe Medication Practices, an organization that independently monitors pharmacy errors nationwide. That's about 2 percent of all the 4 billion prescriptions filled annually. So people like McGuire are left to guess how often these mishaps occur. “We're really lucky it was nothing worse,” said McGuire, of Middletown New Jersey. McGuire said her daughter's hair will take months to grow back. he filed a complaint about the error to the state Office of Professions. In a statement, Wal-mart, the pharmacy that made the error, said the company would provide more training at the store that made the error. Tracy Russell, executive director of the Pharmacists Society of the State of New York, said all pharmacies have checks and balances -- some involve technology and some extra manpower -- to avoid errors. Catching errors is more difficult when a doctor prescribes the wrong dose of a drug, she said. In that case, a pharmacist would need to understand the patient’s ailment and the doctor’s course of treatment to catch an error. The State Office of Professions, which regulates pharmacists in New York, told the I-Team that they do not track pharmacist errors. State Sen. Jeff Klein (D-Bronx) said he was alarmed to hear that pharmacist errors are not tracked, and promised to push for legislation demanding more accountability. Check to make sure what's in your bottle matches the prescription with this pill identifier from the National Institutes of Health.